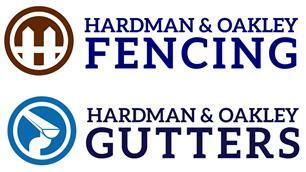 Hardman Oakley Ltd - Fencing/Gates, Landscaper based in Falkenham, Suffolk. Landscaping Services - groundworks for garden buildings, ditch digging, pond digging, land sculpting. All of our materials are sourced from quality local suppliers and unless requested will be pressure treated. All materials will be delivered to your address free of charge. We will also take care to leave your property clean and tidy after the work is completed. Hardman & Oakley Gutters: We offer a professional gutter cleaning service for commercial and domestic properties. We use market leading, high reach vacuum and water-fed pole systems to thoroughly clean and clear gutters up to 40ft high from the safety of the ground. We are able to safely reach over garages and conservatories etc. to get to the gutters using our equipment. We use water-fed pole systems to clean the UPVC and a pure water system to leave the glass clean and streak free. We are committed to customer satisfaction and will ensure a friendly and professional service with attention to detail and careful workmanship. We have been DBS checked and will turn up in vans marked with our company logo. We accept payment by credit card, debit card by means of Paypal payment device, as well as other methods. Please call for a free quote and additional advice if needed. Bury St Edmunds, Diss, Felixstowe, Framlingham, Ipswich, Long Stratton, Norwich, south Norfolk, Suffolk, Woodbridge.